If you need information about ESTIEM or you want to contact us, please send an email to info@estiem.org. For information about the persons that are leading the organisation this year, you can visit the Central ESTIEM page. 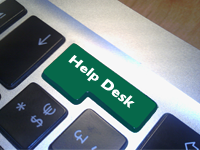 For information about our events, lost passwords, or any other problem, please send an email to help@estiem.org. If there is an ESTIEM Local Group at your university, we recommend you to try to contact them first. If you would like your university to join our network, send an email to membership@estiem.org.